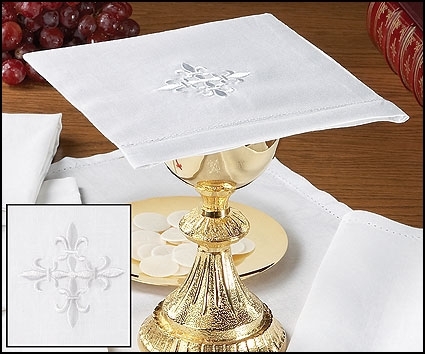 These R.J. Toomey™ Mass linens are professionally hem-stitched and embroidered with a white fleur-de-lis cross. 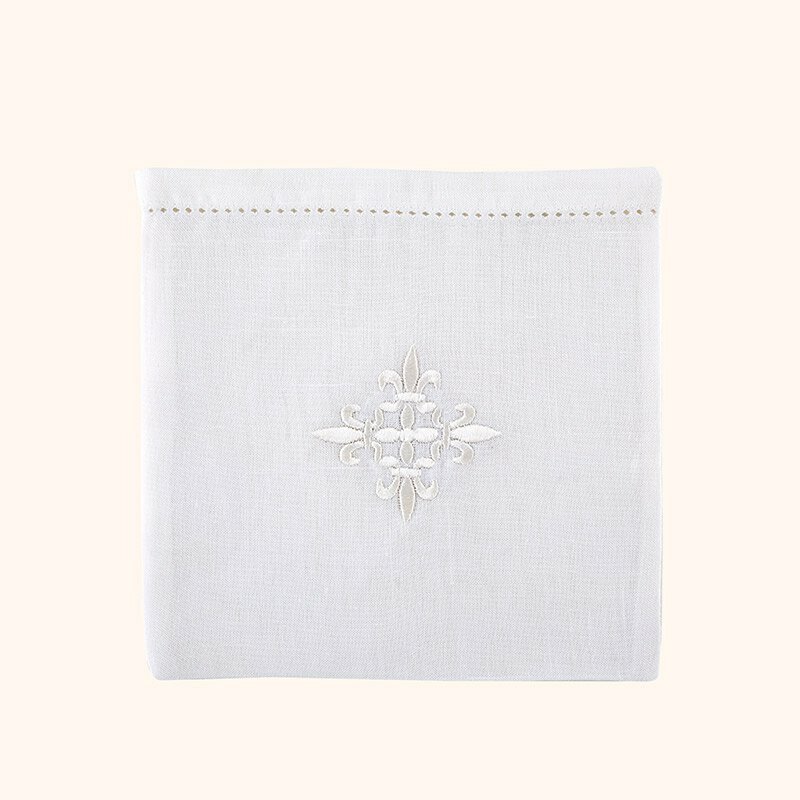 The perfect addition to any altar. Includes 3 inserts.